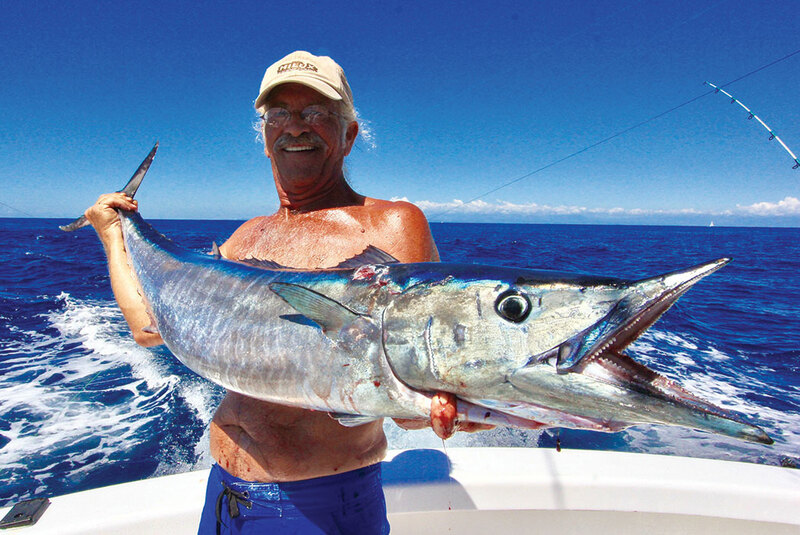 In March if you want to head Offshore, you can expect good numbers of Sailfish in addition to Marlin, Dorado and Tuna. There are some fantastic boats available for charter at the Marina Pez Vela for Full day, ¾ day or ½ day trips. Just let me know if you need help arranging a boat or you can visit the Fishing Office based at the Marina, IFISH Quepos, ifishquepos.com. Our Inshore Fishing in February was truly fantastic with some epic sized Roosterfish, Snook & Snapper landed. Captain Riccardo on IDRA Sportfishing landed a 37lb Snook during February and there were lots of Roosterfish released by the fleet with many 40lb plus fish. 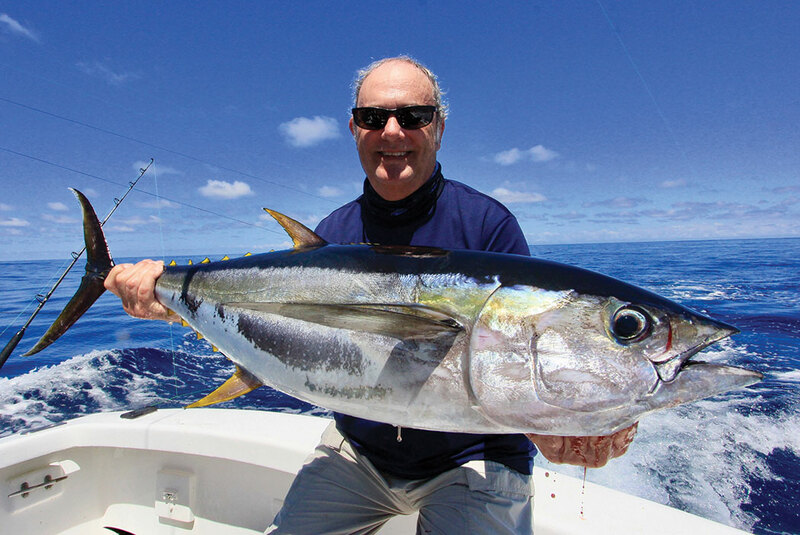 The rocks, islands and river mouths in the waters surrounding Quepos will be abundant with Inshore species during March and inshore live bait such as Sardines will be plentiful. 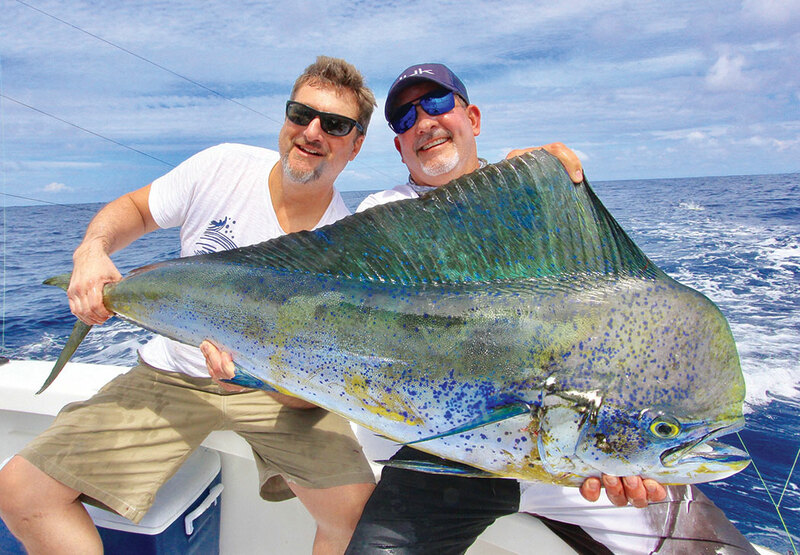 Primary target species during Inshore trips are Roosterfish, Snook, Snapper, Corvina, Mackerel, Jacks, Barracuda, Tripletail plus many other exciting species — you just never really know what you are going to catch on an inshore fishing trip out of Quepos! Inshore trips are a perfect way to experience fishing for the first time and a great option for families with children with half day (5 hour trips) being popular. Charter one of the Quepos inshore boats and captains for a great day on the water. With one of the best views in the Marina Pez Vela, the Double Hook Sports Bar is a great place to unwind after a day’s fishing and watch the last of the boats come back to the dock. Order some cold beers, sit back, relax and enjoy the magnificent sunset whilst the team at Double Hook prepare your catch. Dorado, Tuna, Snook, Snapper, Mackerel? Whatever your catch might be, don’t worry, the team will have you covered! They cook up awesome lightly coated Fish Fingers as appetizers and followed by a Grilled or Fried fish main course with one of the best sunsets in Central America, what more could you ask for? The next major tournament of the year, the Quepos Billfish Cup takes place from March 14-17 at the Marina Pez Vela. This promises to be a fantastic weekend of Sport Fishing festivities, dockside parties, tournament village and a whole lot of fun. Come down to the Marina to join the party and see what all the fuss is about!